‘Tis the season! With the holidays fast approaching, we’re getting in the spirit with some fun crafts that will help get your desk looking extra festive. Our first craft is a cone tree table ornament! Draw a circle on your bristol board and cut it out. The larger the circle, the taller your cones will be, so draw and cut accordingly. Once the circle is cut out, proceed to cut out 2-3 sections of board. Once again, with different-sized sections, you will have a large or small cone. After cutting out your sections of the circle, simply wrap them up into a cone shape, taping the edge of the paper down once satisfied with the shape. Now the fun part! Add paint, glitter, or other decorations to your little Christmas tree cone. We opted for red and gold for a warm, seasonal look. You’re done! 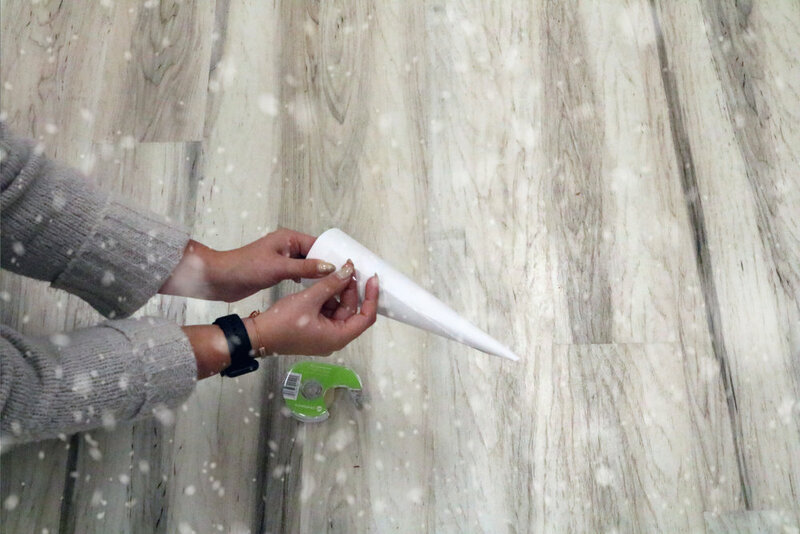 For presentation, tear apart the cotton balls and lay them at the foot of the cones to replicate snow.